Home to the world’s most famous ‘open-air museum’, the Italian capital certainly has a lot to offer in terms of historical sites. With architecture dating back to the Renaissance and Baroque periods and museums which host artefacts over 2,000 years old, the city of Rome is a dream come true for art and history enthusiasts. Come to explore the largest construction of the Roman Empire, discover early Christian catacombs, religious structures and beautiful villas. You might even dive into the depth of Dan Brown’s Angels and Demon’s novel on a specialised city tour. Getting around the city couldn’t be easier when you have access to Hop-On Hop-Off open-top sightseeing buses and comprehensive Rome City Passes which give you access to public transport and discounts to top attractions around the city. Independent travellers have all the facilities they need to discover Rome at their own pace. 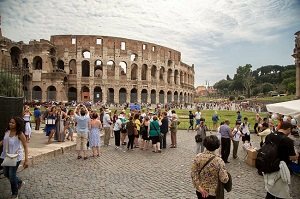 Meanwhile, those who prefer a more structured visit will have a variety or Rome walking tours and bus tours to choose from. There’s something to suit all types of visitors and all ages. Even if you’re not much of a city lover Rome might just be the place for your vacation. Located in southern Italy, in the Lazio region, the city is only a stone’s throw from some of Italy’s top destinations and a convenient day tour can take you to the crater of Mount Vesuvius, to Pompeii, the city which lay hidden for centuries beneath a cloud of ash, to the city of Naples, to the birthplace of the Renaissance, Florence, to the vineyards of Florence, or to picturesque Mediterranean towns. Ride around the Italian capital on the famous ‘big red bus'. This is an opportunity to discover the city centre with a flexible Hop-On Hop-Off service. Choose the Hop-On Hop-Off city pass that's right for you, 24, 48, or 72 hours. Have the freedom to ride the entire loop or hop off at any stop. Enjoy the onboard benefits of the city sightseeing buses. Access to buses for up to 3 days. 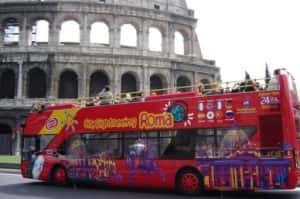 The Hop-On Hop-Off bus tour or Rome has thousands of positive reviews on TripAdvisor and Viator and a 3.9 out of 5-star rating from Get Your Guide users. Most comments agree that the service is convenient and reasonably priced, although the sightseeing loop is a little short. Hop-On Hop-Off buses are aimed at independent visitors who want both flexibility and the convenience of a tour bus. A special personal feel tour of the Vatical City with an expert historian guide. 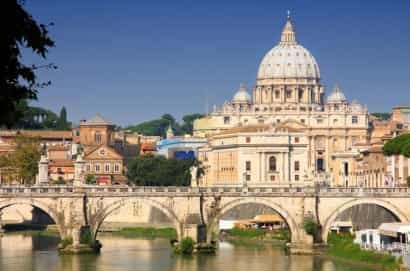 Take a few hours of your vacation to learn about the home of the Catholic Church and the Vatican State. Take a 3-Hour small group tour of the Vatican City Complex. 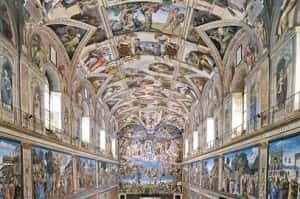 Skip the lines to see the Sistine Chapel, St. Paul's Basilica, and visit the Gallery of Maps, Tapestries, Muses, and more. Most travellers have given this tour a 5 out of 5-star rating. Comments have particularly focused on the convenience of the small groups size and the knowledge of their tour guides. This is a popular tour with over 20,000 positive reviews from Viator users and a 4.7 out of 5-star rating on Get Your Guide. 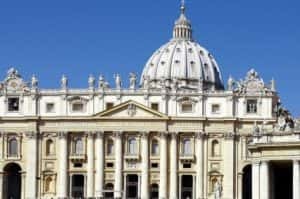 This tour is great for people who want a hand to navigate the extensive Vatican city complex and for people who want to visit the city's top attractions without wasting time in queues. 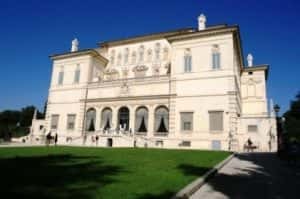 This is an opportunity to get acquainted with the famous Borghese Gallery and the wonderous art works that it houses. 3 hours to explore great artworks and charming gardens with an art historian guide. Skip the lines to one of Rome's top attraction, the Borghese Gallery and Gardens. Learn about revered artists, see masterpieces, and hear about the history of the gallery. Over 450 Get your Guide users have rated this 3-hour tour as a 4.7-star experience, with comments praising the knowledge of tour guides. Similarly over 1,200 travellers have given this tour a 5 out of 5 on TripAdvisor and Viator. Traveller's say that this is a ‘wonderful experience' and well worth it. Right for art enthusiasts and history buffs, this tour will cover the works of highly influential artists and the progress of major art movements from Italy's past. This is a chance to explore the highlights of the Vatican City Complex independently, without waiting in long lines. See priceless artefacts and discover the home of the Catholic Church. Skip the long lines to enter legendary Sistine Chapel and Vatican Museum. Explore at you own speed and stay till closing time if you choose. This tour has a 4-star rating on TripAdvisor which a leading review platform for travellers. On Get Your Guide the fast track ticket has over 9,000 customer reviews and a 4.6 out of 5-star rating. 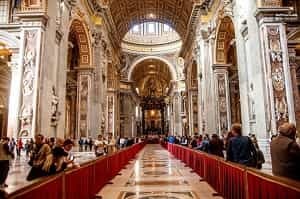 Reviews generally agree that the skip the line ticket is a time efficient and well-organized way of visiting the main attraction in the Vatican City. This self-guided visit is ideal for anyone wishing to explore the Vatican Museum at their own pace, you're only time limit is closing time. A short and sweet guided tour of Rome's Colosseum. An opportunity to see inside the most famous remaining buildings of the Roman Empire. Learn about the ancient site with a small group and local guide. Avoid the colosseums long entrance queues. Take a 60-minute tour of the site. This is fantastic tour with engaging guides say Get Your Guide users who have awarded this tour a 4.9-star rating. Viator and TripAdvisor agree that the tour is informative and just the right length for children. A visit to the colosseum should be on everybody's list of things to do in Rome. This quick tour may appeal to people on city breaks or people travelling with children or seniors. An opportunity for visitors to see the highlights of Rome in a short space of time. Explore the halls and galleries of the Vatican Museums. Visit the Sistine Chapel and St. Paul's Basilica. Take a guided tour of Rome's Colosseum. Skip the line to some of Rome's busiest attractions. Fast track entrance to Vatican sites and Rome Colosseum. Many travellers have given this tour 4.5 to 5 out of 5-star rating and would highlight recommend the combo skip the line ticket. Comments agree that this is an excellent, well organised tour which is worth the money. A good option for budget visitors with limited time in the city. Great for anyone interesting in renaissance art, Catholicism, and the history of the Roman Empire. Your key to the very best Rome attractions and Vatican City venues. This is a convenient pass which will help you to explore the Italian Capital at your own pace. The OMNIA Pass will let you ride the open top Hop-on Hop-off bus on the Cristiana Line. Get discounts and fast track entrance to several museums, attractions and other venues. Save time with skip the line entrance to the Sistine Chapel, St. Paul's Basilica, and the Vatican Museums. 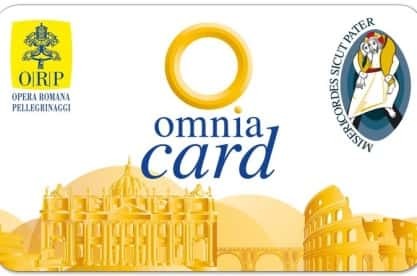 Combined OMNIA Vatican Rome City Pass. This is an excellent pass for visiting the top attractions in Rome. Travellers have giving this combo pass mostly 4 and 5-star rating and would recommend purchasing the OMNIA Card. Aimed at visitors who prefer to sightsee independently. This card is essential for visitors with limited time in the city. A self-guided tour of the largest and most famous building of the Roman Empire. An opportunity to explore ancient sites and ruins. A time saving ticket which lets you skip the line. Visit the political centre of the Roman Empire. Explore Rome's antient Colosseum at your own speed. Learn the facts and hear the stories of these 3 sites with a multilingual audio guide. Over 1,000 travellers have purchased this tour through Get Your Guide and reviews are mostly 4 to 5-start. Travellers say that the audio guides are very informative and that the attractions are a ‘must' when visiting Rome. Right for visitors want to visit these attractions without a guided tour. Good for both adults and children. A unique combination of walking and bus tour in the City Centre of Rome. An opportunity to dive into the myths and legends of the Eternal city. Meet with an expert local guide to take a 4-hour specialised city tour. Walk along beautiful streets to Rome's stunning squares. Discover the ‘off the beaten track' places. Ride a bus to points of interest in the city. Visit the actual locations mentioned in Dan Brown's ‘Angels & Demons' novel. This tour has 5-star rating on both Viator and TripAdvisor. Travellers have complimented the guides knowledge on both the book and the city. Comments agree that this is an interesting tour even if you have not read the book. Dan Brown fans gather round, this is undoubtedly the tour for you! Suitable for all ages and for anyone looking for an unconventional tour of Rome. This is a convenient half-day tour which takes you to 2 of Italy's most culturally and historically significant villas. An opportunity to see the Italian country side. Explore the ruins of antient Roman Baths. 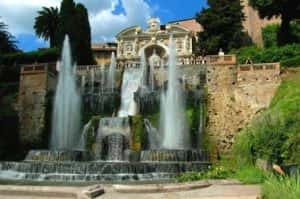 Tour Villa d'Este and Hadrian's Villa. Enjoy free time to explore the beautiful gardens surrounding the villas. Learn about each location from a local guide. This tour has scored above 4-stars on both TripAdvisor and Get Your Guide and is a very popular half-day tour. Comments agree that the villas are worth a visit and that the guides make the execution very interesting. This is a pleasant 4-hour tour which takes you into the quiet Italian countryside, ideal for history, art and nature lovers. 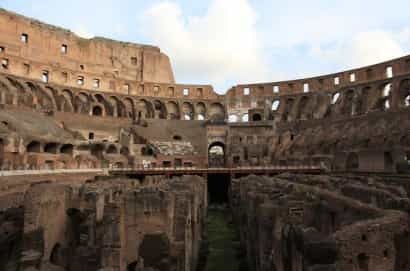 A comprehensive tour of the Rome's Colosseum. An opportunity to visit the largest surviving colosseum of the Roman era. A 3-hour tour which includes 3 of Rome's top attractions. Visit some of the top Rome attractions. Walk the Via Sacra to the Roman Forum. Learn about the Colosseum and the Roman Empire. Enjoy the view from Palatine Hill. This is a very highly rated tour with over 1,000 reviews on Viator and over 3,500 reviews on Get Your Guide. This Colosseum Tour has an overall average rating of 4.8 to 5-stars. Travellers agree that the tour is well organised and interesting. This tour is people interested in history, architecture and archaeology. Suitable for all ages, for groups, or for individuals. An exclusive early morning tour of the Vatican City's best attractions. An opportunity to explore the Vatican City without crowds. 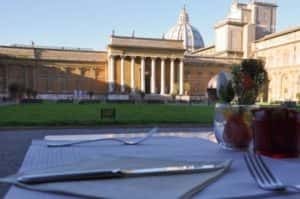 Enjoy a delicious Italian style breakfast in the Vatican City. Take a guided tour of the Vatican Museums including off limit exhibitions. Skip the line to Vatican City attractions. The VIP Experience has earned a 5-star review from Viator and TripAdvisor users. Most agree that this is a fantastic tour, very interesting, with a good breakfast and well worth the money. This is for people who are interested in history, art, architecture and the Vatican City. This tour is suitable for visitors of all ages. Small groups or individuals are welcome. 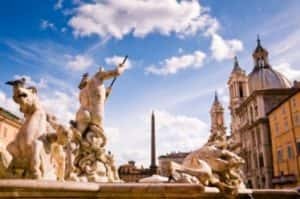 This is a unique city tour of Rome which dives into the history of the city and takes visitor away from the overcrowded city sights. An opportunity to learn and see a lot of the Italian Capital in a short time. Take a mixed walking and private bus tour in Central Rome. Learn about the religious and cultural history of the Eternal City. Benefit from the knowledge of a historian guide. 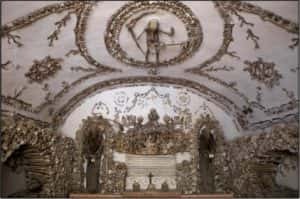 Visit the San Clemence Cathedral and see genuine crypts, catacombs and underground passages. Travellers have left hundreds of 5-star ratings for this tour and generally agree that it provides a unique and interesting city tour. Comments frequently praise the tour guides and recommend the experience. This tour is aimed at people who are interested in culture and history. Ideal for anyone looking for a unique city tour of Rome. Suitable for all adults and children. 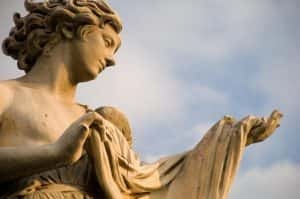 This is a convenient full-day tour which will take you back in time to the Roman era before catapulting forwards into the modern Italian Capital. On opportunity to save your vacation time and discover the city with a local guide. Visit one of Italy's most famous attractions and take a guided tour of the Eternal City. Learn about the influence of the Roman Empire in Rome. Visit the Roman Forum and Palatine Hill. Stop at many of the city's most famous landmarks. Free drink or ice cream. Travellers have left hundreds of 5-star reviews for this combined Rome city tour. 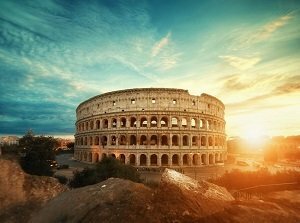 Reviews say that the tour is a great way to spend a day in the city and great for see in the Colosseum without waiting in the queue. Great for anyone interested in seeing one of the best Rome attractions as well as learning about the city. 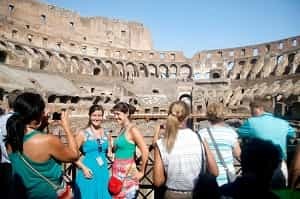 Also good for people with a limited time in the city, this tour will save you the hassle of co-ordinating separate tours and let you skip the queue to the Colosseum. 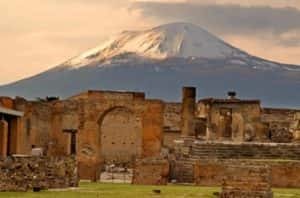 In the same day you'll discover the extensive ruins of Pompeii AND the volcano which caused the city to remain hidden for so many years. Disembark from Central Rome and venture into Southern Italy. Walk through Italy's most famous ruined city and learn about Pompeii from a qualified guide. Have the opportunity to summit Mt. Vesuvius. Enjoy scenic views of the Mediterranean coastline. Many happy travellers have summarised this excursion in one word: ‘Amazing!'. This tour has average 5 out of 5-star ratings on TripAdvisor, Get Your Guide AND Viator. This tour combines history, adventure and panoramic views and will therefore appeal to a lot of people. Suitable for children but there is no wheelchair access and this tour is not practical for visitors with walking difficulties. A fantastic full-day excursion from Central Rome. This is an opportunity to travel from the ‘Eternal City' to the ‘Cradle of the Renaissance' and back in just one day. A convenient time saving option for visiting Florence. 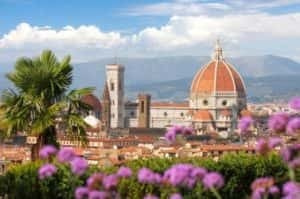 Drive to/from Florence by luxury coach. Take a tour of the city with your all-day guide. Enjoy a delicious lunch and free time to explore the city independently. They say that although this is a very long day tour this excursion is defiantly worth taking. Travellers have enjoyed the company of excellent guides and comfortable transport. On Viator this tour has hundreds of 4 and 5-star reviews. Perfect for anyone who want to compare two of Italy's most popular cities in just one day. This tour will let you travel stress free without the need to organise any public transport. Discover the highlights of the wonderful Tuscan province in a single day. An opportunity taste locally produces wines at a real Tuscan winery. Travel by coach from Central Rome and make stops at points of interest in Tuscany. Visit a UNESCO World Heritage protected village and take a tour of a local vineyard. Share a delicious lunch with your fellow travellers and sample a mix of red and white wines. This is a highly recommended tour with whopping 5-star average scores from TripAdvisor and Viator users. Most travellers will tell you that the full-day trip will take you to ‘breath-taking' places and that the long bus journey is defiantly worth it. This is ideal for people who enjoy group coach tour and for people who are interested in visiting beautiful places in Tuscany. 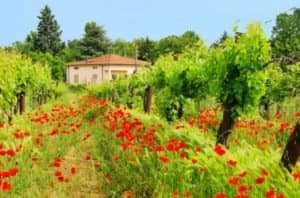 Great for visitors with mixed interests, this tour combines history, nature, wine and local food. Enjoy an overnight getaway to some of the most significant and picturesque locations in the south of Italy. An opportunity to taste a real Pizza Napolitano, visit UNESCO World Heritage sites, and enjoy the beautiful coastal scenery. Take a walking tour in the Centre of Naples. Ruins of Pompeii with an expert historian guide. 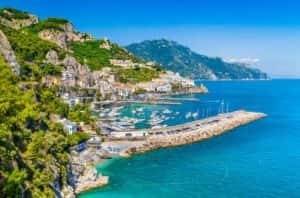 Spend a night in a popular seaside town and cruise to Capri Island. Most travellers have given this tour 5 out 5-star ratings. Travellers say that they were very impressed with the way the way the tour is operated and organised. Reviews frequently talk about great guides and stunning locations. For travellers who don't want to hassle of booking separate tours or private transport to these locations. Great for photographers, history and nature enthusiasts, and for beach lovers. A compact and comprehensive walking tour central Rome. In introduction to the history of the Roman Empire, to Renaissance artists, to fantastic architecture, and to the modern city. 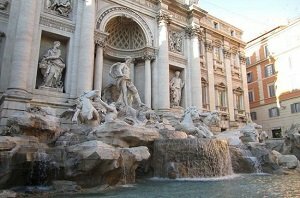 Visit the Spanish Steps, the Trevi Fountain, the Piazza Colonia and other famous landmarks. Enjoy a laid back and informative style walking tour. Learn the ins and outs of the Eternal City from a professional local guide. This tour has hundreds of 4 and 5-star reviews from traveller's reviews of TripAdvisor and Viator. Comments praise their guides who are trained in history and archaeology. This is a highly recommended sightseeing tour despite the crowds in summertime. Ideal for first-time visitors to Rome or for people who want to get an overview of the city. This tour will be at a leisurely pace and therefore suitable for all ages including children and seniors. A chance to see the famous Basilica of St Paul without waiting in line. Skip ahead of the queue and use your complimentary audio guide to learn about the Basilica. See masterpieces by the greatest renaissance artists of their time. Take you time to explore inside on this self-guided tour. This is one of Rome’s top-rated attractions. Travellers have said described the interior of the Basilica as ‘majestic’ and ‘breath taking’. People who have used the skip the line entrance ticket to visit the Basilica say that it is defiantly worthwhile. Comments generally agree that the tickets are very easy to use and will save a lot of time. Right for people interested in religious art, architecture, the renaissance style or the Catholic religion. This fast track ticket is ideal for people visiting the city for a limited period of time and those who don’t want to waste their vacation waiting in line. This tour should appeal to people of all ages. A convenient and time saving ticket which will get you access to the castle without wasting time in entrance queues. A chance to discover one of Rome’s few surviving fortresses. Stroll the castle’s open courtyard. Visit the rich banquet halls and lavishly decorated rooms. Compare the luxurious upper floor to the cold and damp lower levels. Learn how the castle was built and used throughout the centuries with your free audio guide. Take a look inside the castle's onsite history museum. Downloadable audio guide in multiple languages. Traveller have said pre-booking fast-track tickets is the best way to visit the attraction without wasting time in lengthy queues. Parents point out that this is a fun attraction for children, who can enter free of charge. 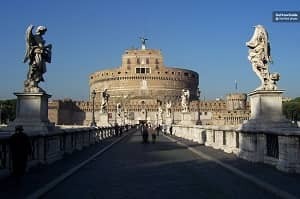 Castle Sant’Angelo is one of the top 10 rated attraction in Rome. Right for history enthusiasts and for those with an interest in architecture, art and military history. A great space for children to explore and fantastic views for photographers to capture. People of all ages can visit the attraction. This is a new and exciting combo ticket which will get you skip the line entrance to some of the oldest sites in Rome as well as entrance to a restricted area of the Colosseum. Save time with skip the line entry to 3 must-see attractions in Central Rome. Get priority access and a gladiator’s view of the Area Floor. Benefit from the assistance of a local travel representative. Fast-track entrance to the Colosseum, Palatine Hill and the Roman Forum. Access to the Arena Floor. Traveller have recommended purchasing skip the line entrance tickets as they say that it saves a lot of time at the entrances. Most comments point out that although this is not a guided tour, meeting tour representative was very helpful. Reviews have described Rome’s Colosseum as magnificent and the service as good value. Right for anyone who want to see 3 of Rome’s top attractions in just one day. Great for short city breaks and first-time visitors to Rome. These attractions should appeal to anyone interested in ancient history and Roman constructions.